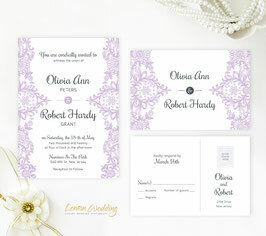 Our Purple Wedding Invitations are ready to share the details of your special day. 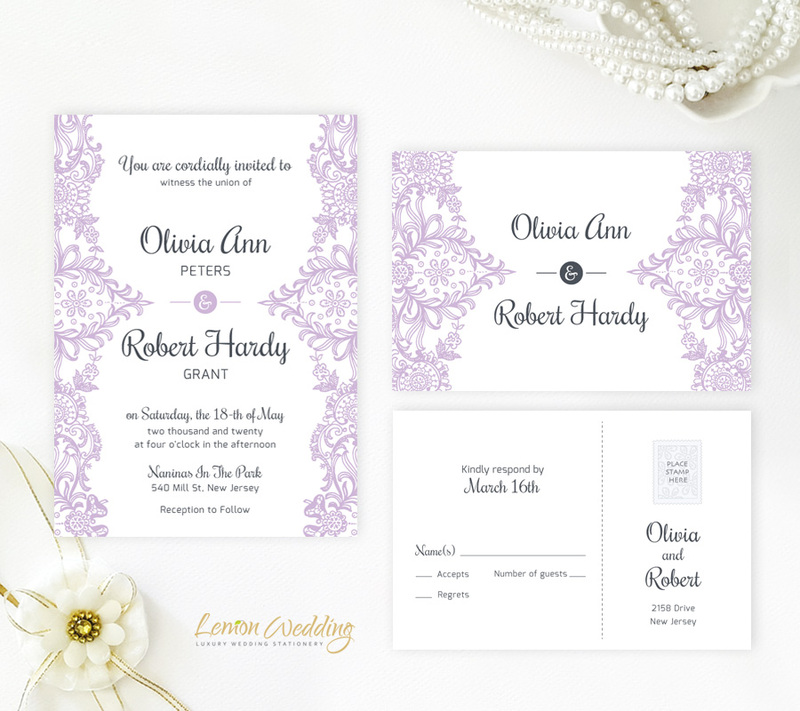 Just for a beautiful wedding ceremony, our invitations are adorned with an intriguing purple lace design with a lovely font. 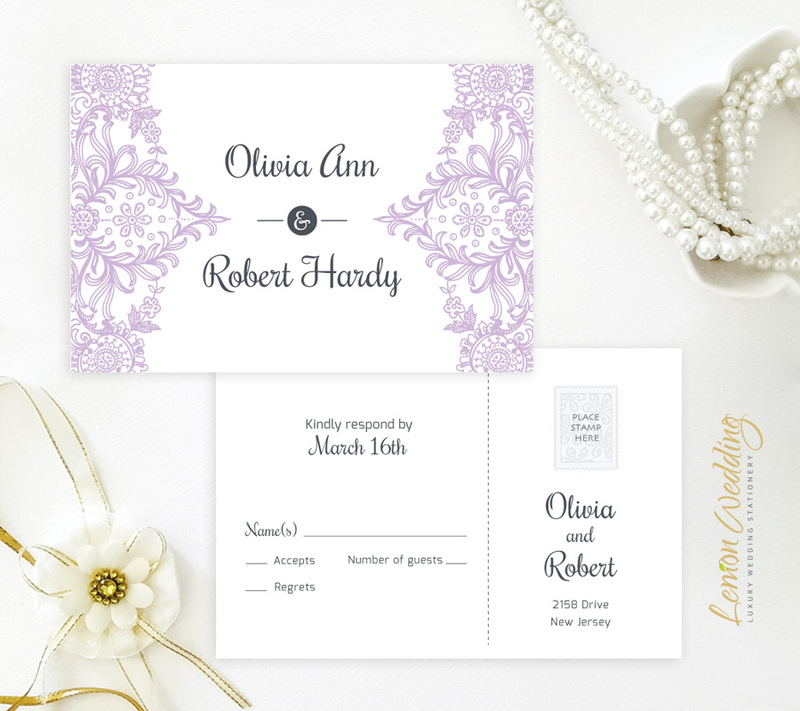 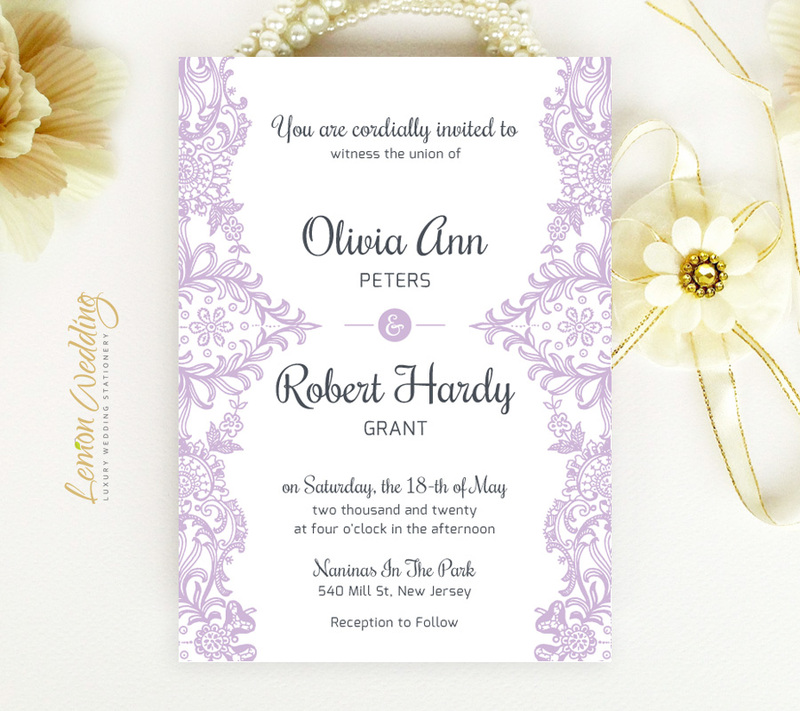 Our purple wedding invitation set includes wedding invites and R.S.V.P cards printed on premium card stock.